Overseas Conference? Team Bonding? Hospitality? We can arrange it all! If you're looking to organise an overseas conference, a rewarding incentive trip, a team bonding exercise or even some superb corporate hospitality, a ski trip is hard to beat. A number of our hotels have excellent conference facilities and, with our knowledge of the Aosta Valley, we have the ability to tailor a trip to your exact needs. Skiing offers enjoyable challenges for everyone and the social aspect of après-ski provides unlimited opportunities for relationship development and team building, in a beautiful and awe-inspiring setting. If you're looking for the best support, fantastic hotels, great facilities and flexibility, then let our experienced staff help you arrange an event to remember. Where Can We Travel To With Interski? We concentrate on just three resorts in Italy's beautiful Aosta Valley - a fantastic ski area with stunning scenery, located within easy reach of Geneva or Turin airports. The resorts we use are Courmayeur, La Thuile and Pila, with each offering something slightly different. We can arrange packages for short breaks or week-long stays, with travel on any day of the week - all to suit your group. We can also provide equipment hire, including ski clothing rental if required and conference facilities. Don't worry we've got it covered! Your itinerary can be tailored to suit your group's exact requirements. We can help both with suggestions and also organising any of your own ideas. As well as skiing, the Aosta Valley boasts a huge array of activities which are all perfectly suited for corporate events. Some itineraries have even seen groups travel by snow mobile to enjoy an evening banquet, cooked by a Michelin starred Italian chef in an exclusive mountain restaurant! To book a corporate ski trip call our friendly sales team on 01623 456333 and we'll be happy to discuss dates, prices, availability and itineraries with you. 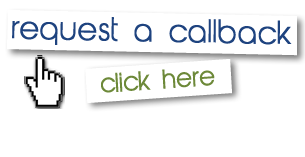 Alternatively, complete the enquiry form by clicking on the button to the right we'll call you at a convenient time. * Depending on your preferred board basis. Your interest interest in booking an Interski Corporate Ski Trip has been sent to our Sales Team. We will review the details and be in touch with you at your requested time. Please feel free to contact us on either 01623 456333 or by email to email@interski.co.uk should you have any queries in the meantime.